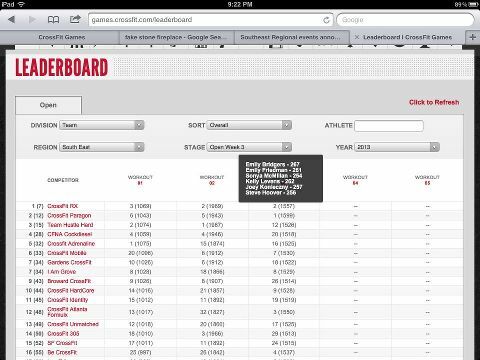 Your Team CFRX is #1 in the Southeast! p.s. Today, I play. Racquetball! TEAM CFRX is a bunch of badasses!! 18:04, not Rx due to lack of HSPUs. LOVE the team and all the individual efforts at Rx in the open. Whoo Hoo! Go team, go! !